Fight us in Arma 3! Hey there! We are the 29th Infantry Division: a realism based military simulation unit. 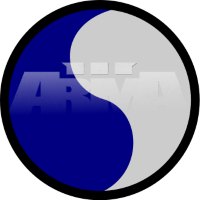 We play a variety of games within our numerous companies, but ArmA 3 is what our Charlie company is based in. Founded in 2005 and based on the real life 29th Infantry Division in the US Army, our unit has become immensely popular among a multitude of nations, age ranges, and player types. With over 300 dedicated, hard-working, conscientious players, ranging from Private to Lieutenant Colonel, we aim and strive to help each other achieve the greatest gaming experience they could have. If you have a unit of your own or are part of one, we would be more than interested in organizing an event with you. A scrimmage is, simply, an organised match where a certain unit battles other units under certain rules (E.g. a single life for each soldier per round). With the amount of effort each members puts into gaining experience and discipline each drill, we are certainly not a light, nor easy, fight. We look forward to facing or fighting you on the battlefield. If you would like to organize an event or require more information, please contact one of the members listed below. Message Sgt. Stray on this forum. Message Cpt. Hill on this forum. Leave a message and we will get back to you as soon as is convenient. Additionally, please feel free to join our Teamspeak channel if you have any questions or would like to chat with any of our staff. We also have a Steam group, a Facebook page, and a Youtube channel if you'd like to discover more about our division. Thank you!